Intrexx Version 18.09 - Welcome to Intrexx! 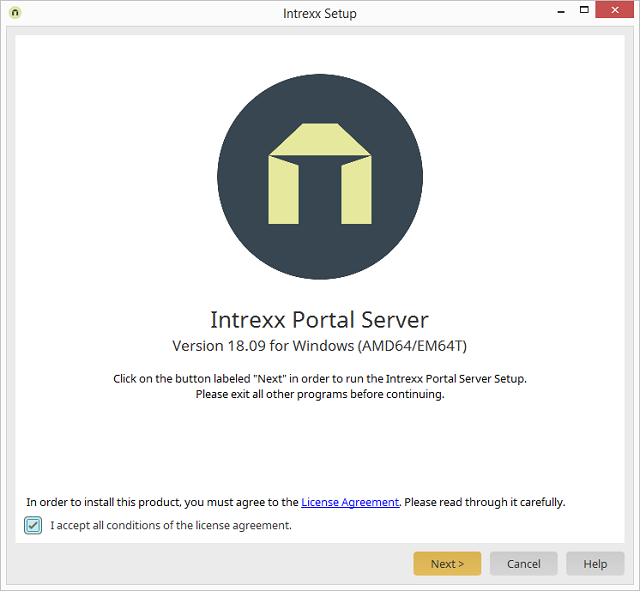 To install Intrexx, you must agree to the License Agreement. Click on the link "License Agreement" to read the conditions. Activate this checkbox to state that you accept the terms and conditions of the license agreement.